Saif Ali Khan Asks Paparazzi To Not Stalk Taimur and We Heart That Request! 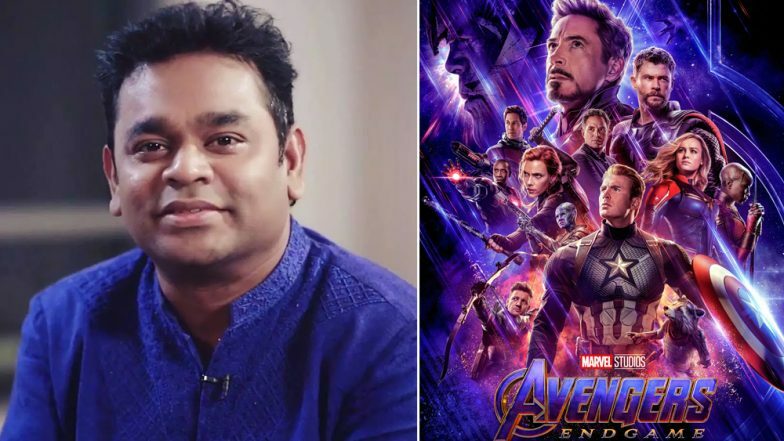 Avengers: Endgame: A R Rahman All Set To Compose an Anthem for Indian Marvel Fans - More Deets Inside! Hold your breaths peeps, Avengers: Endgame is all set to introduce an anthem for Marvel India fans and guess who will be composing it? Well, it is none other than the music maestro A R Rahman. The Academy Award-winning composer will be creating an all-new anthem for Indian fans of Marvel across three languages – Hindi, Tamil, and Telugu. The track is all set to be released on April 1. Fans have been waiting to watch the last installment of the Avengers franchise which hits the screens on April 26. The craze for Marvel films in India has been increasing over the years and now the announcement of Marvel India collaborating with Rahman for an Avengers anthem is sure to set these fans in a tizzy. Ever since the trailer of the film was released a couple of weeks ago, there has been a lot of talk surrounding the big finale. Fan theories are being thrown around as fans have been guessing at what happens next when the Avengers who survived Thanos' snap in Avengers: Infinity War re-unite to end the mad titan. Avengers Endgame Official Synopsis Revealed by Marvel Along With New TV Spot – Watch Video. Looks like April is going to be an exciting month as there's so much to look forward to, ahead of the big release. The film's co-director, Joe Russo is also set to visit India prior to the film's release and will probably be present for the launch of this anthem. We certainly can't wait to hear what magic Rahman will spin this time!